Funcom, the same developers of the Age of Conan MMO title have revealed a new Conan game today that seems to be at the polar extreme from their last Conan game, which was an RPG. This new Conan game is set in a massive wasteland full of thousands of other exiled people who were sent there to fend for themselves. For all you fans of the Age of Conan game that was strongly reliant on aspects of the RPG genre, you may be a little let down with this new Conan title. 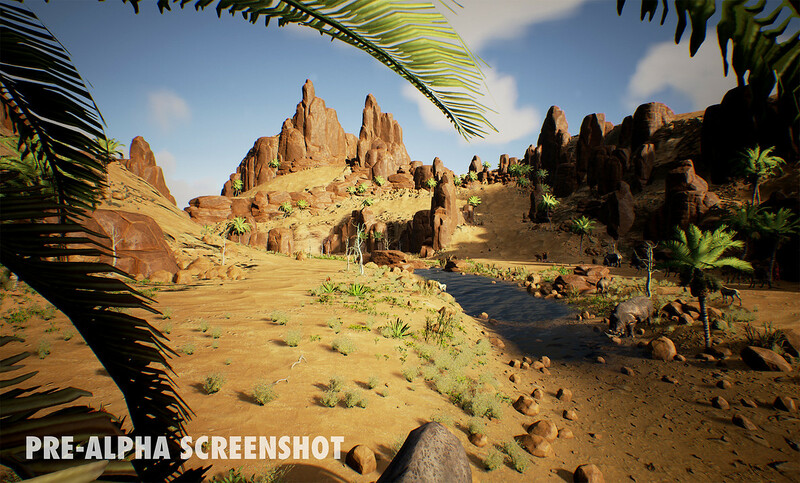 The reason simply being that Conan Exiles will not exactly have RPG or MMO elements, and will be leaning more heavily towards a multiplayer, open world survival game in which brutal combat, along with growing crops and hunting food are the main aspects. 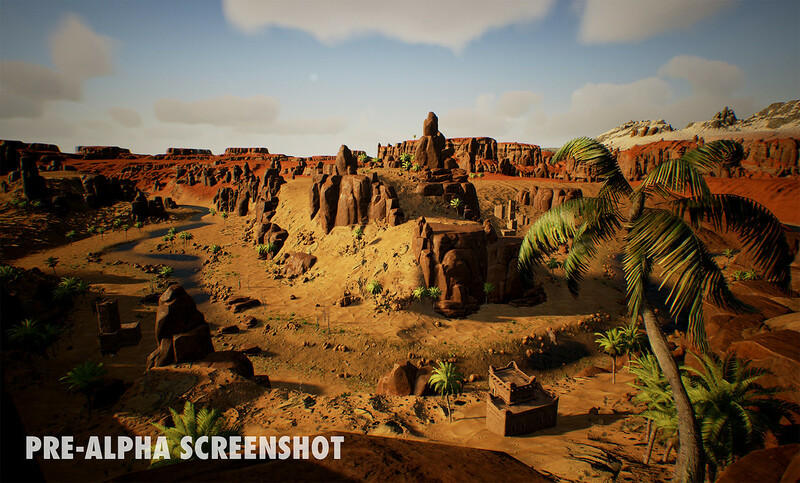 Funcom said that there will also be some form of single-player, however, Conan Exiles will be more multiplayer focused, allowing you to work with others or fight against them in public or private servers. In this vast and extremely harsh environment, players will be able to gather resources that they can use to build tools and weapons, along with shelters that can serve as partial protection from the dangerous land and fierce enemies. If you decide to band together with other players, you’ll gain the ability to build even stronger shelters such as settlements, giving you and your allies an upper hand in the midst of battle with others. When you’ve made your character tough enough, or feel that you have the necessary skills, you can explore the extensive wasteland and savagely battle your enemies in an attempt to control the exiled land. How combat mechanics will come into play in terms of how you can exactly slay your enemies is yet to be revealed. Although, on the Conan Exiles website it does say, “unleash your fury in savage, fast-paced combat and execute bloody and bone-crushing attacks that will see heads rolling and limbs flying.” So we can assume that the combat tactics may be pretty vicious. An exact date for release of Conan Exiles has not been announced, but Early Access for the game will begin sometime in the summer of this year. Furthermore, on the Conan Exiles website it also says that “full launch on PC and console to follow,” but no specific consoles or dates were included. Until more is revealed on this game you can check out the cinematic announcement trailer above, as well as a couple pre-alpha screenshots in the spoiler below. Knockels, Colytonwarrior, Spiteful and 1 other person like this.